After Education Permanent Secretary Lillian Kapulu and other officials visited the Fountain of Hope Lubuto Library and saw its impact, the Ministry wanted more of these libraries to strengthen literacy, improve the quality of education and especially to reach out-of-school children in Zambia. PS Kapulu particularly liked the design of the buildings, remarking on her first visit that they felt "so homey." Lubuto and the Ministry together looked at Lusaka's Garden neighborhood as a logical site for a second library as it was home to so many street children. The PS asked Lubuto to build the next library on the grounds of Ngwerere Basic School, understanding that is is a public library open to all. It should not be taken as a project but an integral part of the school system for the benefit of both pupils and those out of school in the local community. Prior to identifying the library site, Dow Jones & Co. Executive Vice President Clare Hart, who serves on Lubuto's Advisory Board, informed Jane Meyers that Dow Jones wanted to support the construction of the second Lubuto library. With this pledge of financial support, Lubuto's relationship with the Ministry of Education was solidified in a Memorandum of Understanding and construction of the Ngwerere Lubuto Library commenced. Thus, Dow Jones' investment in Zambia's children extended far beyond this single library to inspiring the spread of Lubuto libraries nationwide. 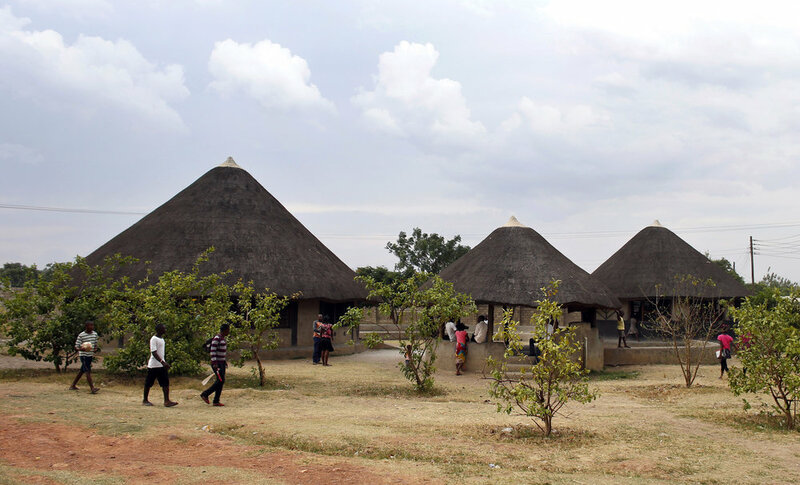 The opening celebration for the second Lubuto Library took place on November 10, 2010 and was a great success—with some 500 children, youth and adults attending, despite unseasonably early rains. We were honored again by our special guest, the First Republican President of Zambia, Kenneth D. Kaunda, who was introduced by his former political advisor and member of Lubuto’s Advisory Board, Mark Chona. The Guest of Honor, Deputy Minister of Education, Hon. Crispin Musosha, M.P., was represented by Ministry of Education Permanent Secretary Andrew Phiri. Member of Parliament for Mandevu, Hon. Jean Kapata also made congratulatory remarks, and the emcee was our own Mulenga Kapwepwe, Advisory Board member and Chairperson of the National Arts Council of Zambia. The opening activities included story dramatizations and dance performances by Zambian children and youth, and presentations by authors Peggy Chilema and Gankhanani Moyo of local-language books they created during a recent book-making workshop co-sponsored by Lubuto Library Partners and the Zambian Board on Books for Young People.